I wanted to put my Valentine's pillow covers away now that February is over. I decided to make a few more pillow covers using my Central Park charm packs. I usually don't do super matchy, but I just really like this fabric. It's surprising to me how much I like it considering I'm not super girly, and I consider this fabric reasonably girly. Sometimes it's nice to have something pretty. I do think the purple makes it girly to me. 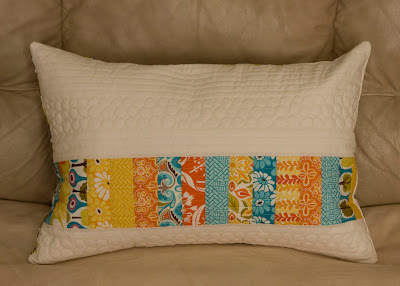 The second pillow which I only used blue, yellow and orange is much less girly to me. I like them all anyway. This one is based on Shelley's design from The Rebel Homemaker. These are fabulous Kati! Love them all! Your pillows are so pretty. Love your version! Isn't this line just gorgeous? 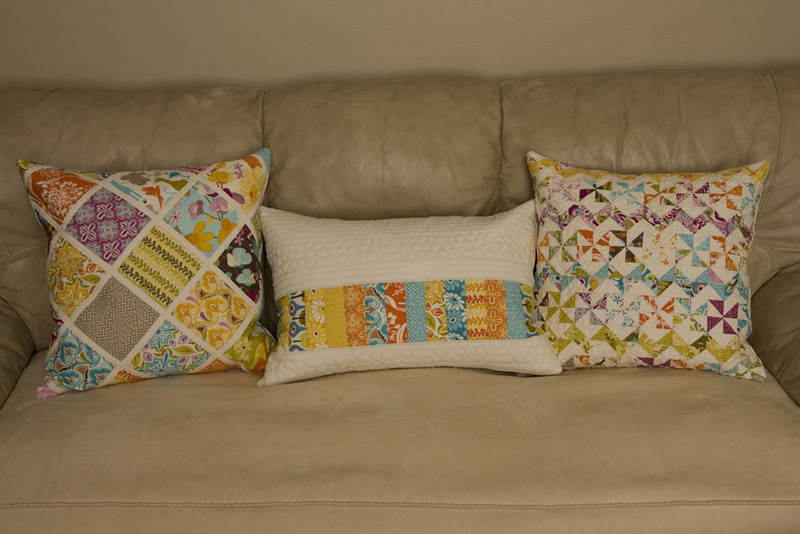 Your pillows all look fabulous together! What a handsome trio of pillows! I adore the quilting you did in the centre one - such wonderful, subtle texture. BEAUTIFUL trio! I love them so much! You always do your pillows right! ;love them! Kati, these are so gorgeous! You are really rocking these pillow lately and absolutely making me fall in love with Central Park! Love the pillows! And I don't think it's girly at all! They've got testosterone oozing from the corners. . . j/k!! I love them! 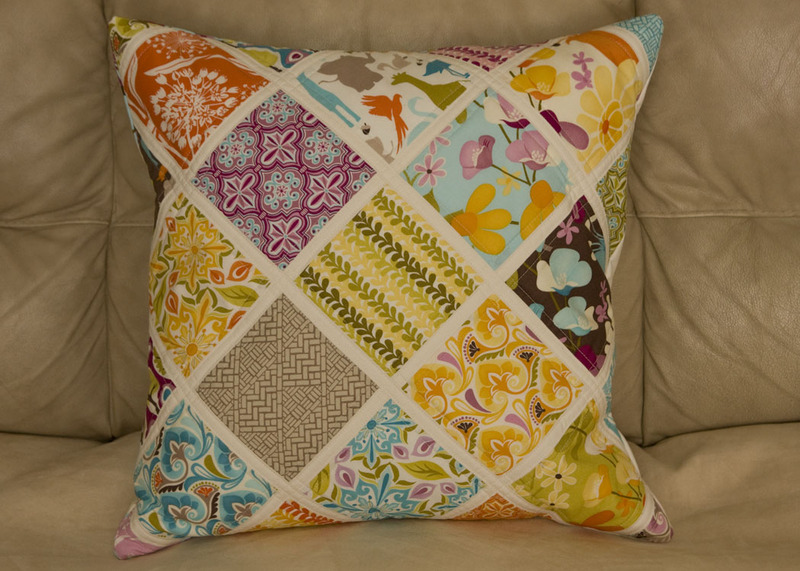 I just love the quilting you did on the rectangular pillow! 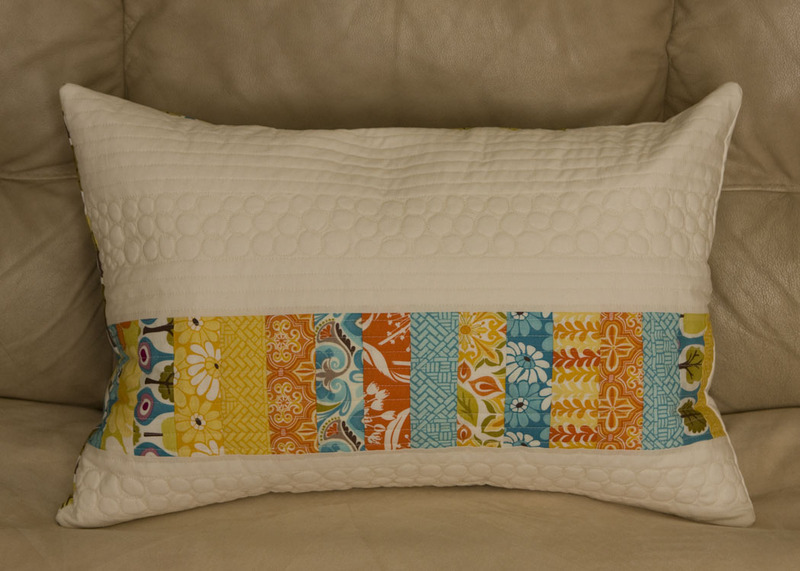 Love the pebble quilting on the long one! so pretty! I love that line! You are the pillow queen! 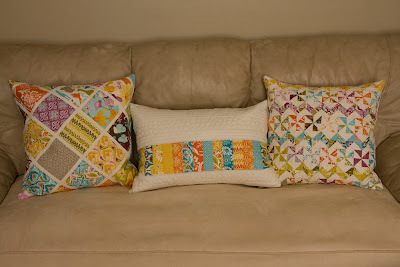 I love the quilting on the long one!